Capture those special irreplaceable first days with your newborn. They grow so fast, which is why capturing those first few days are so important. Our award winning baby photographers offer a full-service for newborn photography from day one through to toddlerhood. Image Portrait Studio is home to professional baby photographers who have a multitude of experience with little ones. Our crew are highly experienced artists who capture the pure essence surrounding newborns while being patient and soothing with your baby. We are more than qualified to seize the opportunity and capture amazing images while ensuring your baby is comfortable and happy. Choosing the right baby photographer is essential as these are images that you will treasure forever. 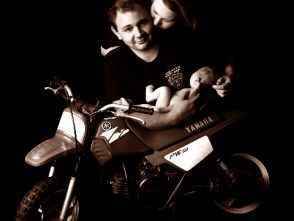 Image Portrait Studio has crafted beautiful images for many families who have come back to us time and again. There is nothing more satisfying than seeing the look of sheer wonder and joy from parents who are thrilled with their newborn’s images captured to perfection. Contact Image Portrait Studio for all your newborn photography requirements.